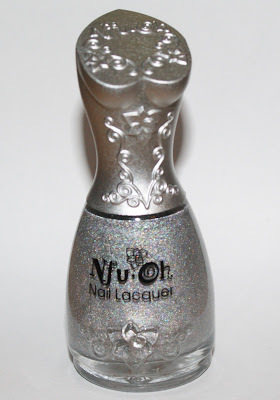 I'm bringing to you my VERY first Nfu Oh with those scandalous bottles! 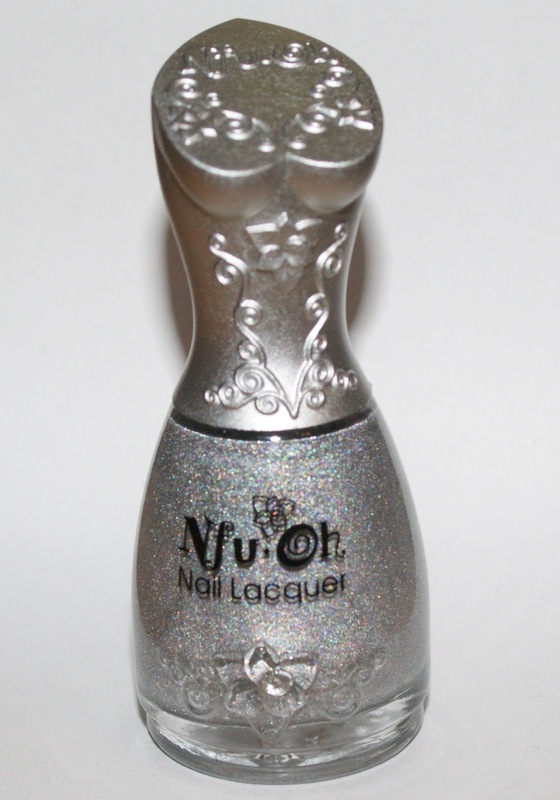 Here is Nfu Oh 61, a silver linear holo polish. 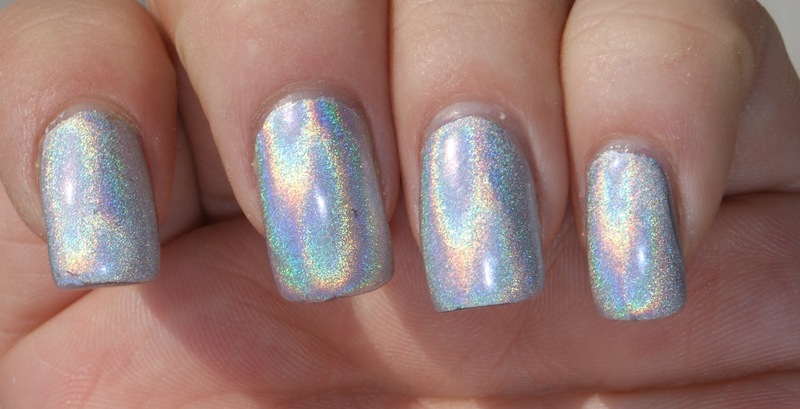 When it goes on the nail, it looks pretty flat and just like chunky metal. But then, as it dried... something magical happened. And BOOM! It looked like it does above INDOORS! And here is Nfu Oh 61 in natural light. It was gorgeous both indoors and outdoors. I had to put a top coat on over the polish, due to its tendency to crack and disintegrate with the slightest brush up against anything. Truthfully, it's lack of durability was the major drawback for the polish. Though, I'd probably wear it again. Certainly, layering another polish over it didn't hurt. So what do you think of Nfu Oh 61 for Hump Day? wow just wow! these is beautiful! Oooh this is unbelievably stunning!